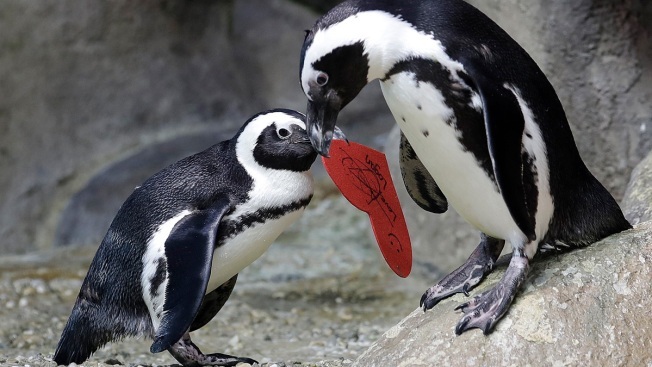 An African penguin carries a heart shaped valentine handed out by aquarium biologist Piper Dwight to its nest at the California Academy of Sciences in San Francisco, Tuesday, Feb. 12, 2019. The hearts were handed out to the penguins who naturally use similar material to build nests in the wild. Penguins made a love connection at a San Francisco aquarium.